I have finally finished and delivered two pirate quilts to my Grandons 3 and 1. 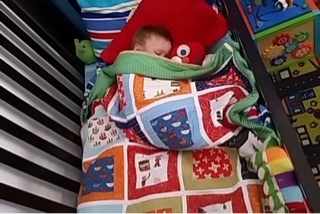 Mummy sent me some lovely snuggle pics today of Mr 1 all snuggled in both quilts lol......makes it all worth it!!! Cute quilts and so good to see them snuggled in. 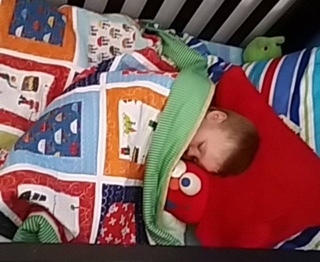 Aww, sleeping like a baby! Lovely pics.